Kwik Kar Marsh keeps you moving no matter which season it is. From super hot Texas summers to unpredictable winters, Kwik Kar Marsh is your neighborhood dealership alternative. For the best auto repair in 75006 come visit us at Kwik Kar Marsh. 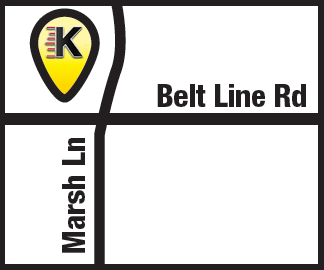 We are conveniently located at Marsh Ln at Beltline Rd on the corner of Addison, Carrollton and Farmers Branch. To better serve our great customers, Kwik Kar Marsh is open seven days a week.